Did You Catch Gotham's Classic Batman Easter Egg? Fox's Gotham has no shortage of source material to mine for Easter eggs thanks to decades of Batman in pop culture. 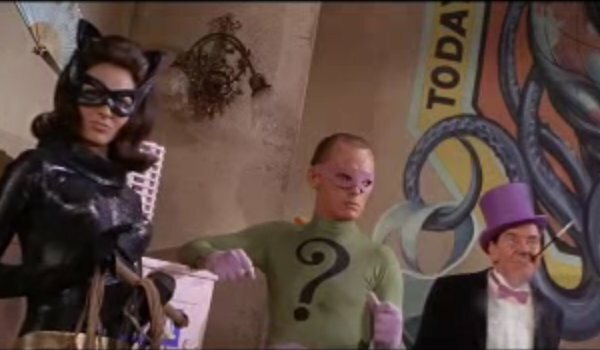 The most recent episode included a callback to the adventures of the Caped Crusader on the 1960s Batman TV series. 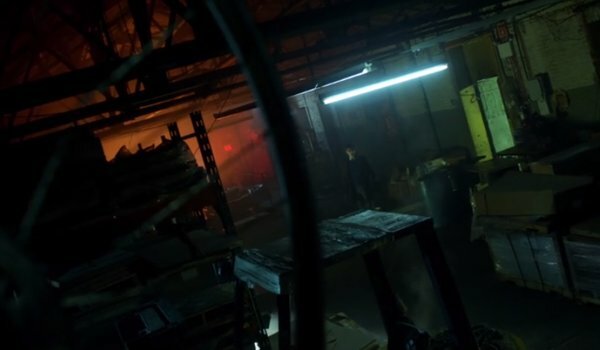 Gotham framed a scene of Ed Nygma entering a warehouse by tilting the camera to a Dutch angle, which just so happened to be the same technique used to introduce bad guys on Batman. Dutch angles are often used on big and small screen alike to convey unease and confusion from the characters, but Batman wasn’t quite so subtle. The show developed the habit of skewing the camera angle on villains to convey that they were crooked characters who deserved every pun and gadget that the Dynamic Duo could throw at them. The angle was most often used in villains’ lairs and at crime scenes. Comicbook.com first noted the shot on Gotham, which you can check out, below. Of course, Batman was produced in an era before the Dark Knight was as dark as he is generally presented nowadays. The grittiness of Gotham means there are usually very few similarities between the two shows. Ed Nygma’s fondness for riddles has meant that he is arguably the closest character to matching his less sinister 60s counterpart, so it was only fitting that his final fall into the Riddler identity came with a callback to Batman. Gotham’s Riddler is much more unnerving than Batman’s Riddler, but the similarities are definitely there. The Batman shot may not be dark and gritty, but it definitely did give the impression that these were some crooked characters. The Dutch angle on the latest episode of Gotham wasn’t the easiest Easter egg to catch, and the action was so twisty and turn-y that it was difficult to do anything more than follow along with bated breath. Looking back to see the clever way that Gotham managed to make a nod to its small screen live action predecessor is a fun reminder that there’s no limit to what bits of Batman lore can be slipped in to an episode. Be sure to tune in to Gotham on Mondays at 8 p.m. ET to see what other Easter eggs the show sneaks in. It’s already been renewed for Season 3, so there’s plenty more of the series still to come. To see which of your favorite shows will be returning to the airwaves in the not-too-distant future, check out our schedule of summer premiere dates.